Time often seems as though it’s whirring by in one big kaleidoscopic blur, but you can always ground yourself by taking a look back at the year that was. Though we averted the Mayan apocalypse, 2012 was still a monumental year, especially for books. New hardcovers can carry quite a hefty price tag upon their release, but you can’t go wrong with this crop of 2012 books, now available at used book prices that don’t break the bank. Making our list are titles that capture the imagination through tension, transcendence, intrigue, candid humanity and unique participation requirements. 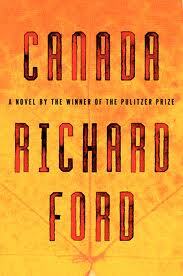 Richard Ford’s Canada, his first novel in six years, covers everything from the growing pains of adolescence and the dynamic of family life to survival against the odds all wrapped in a gripping story of bank robbery and murder. Wild by Cheryl Strayed became the year’s best memoir by documenting how immersion with Nature inspired the transcendence of inner turmoil. By using unreliable narrators (and by switching back and forth between husband and wife narrators), Gillian Flynn’s Gone Girl is packed full of intrigue and deception and makes for one of the year’s most enthralling and tension-packed reads. 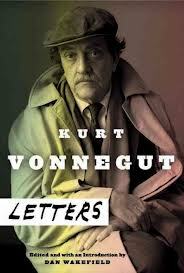 Kurt Vonnegut: Letters shows a side of the famed author few have seen. Meanwhile, Building Stories and Beck’s Song Reader are incredibly imaginative works that require a huge amount of participation from the reader. So without further ado, our Best Books of 2012. Fifteen year-old Dell Parsons has problems unlike most teens: his parents have robbed a bank. What’s more, he becomes an accessory to murder. If you think that’s a spoiler, think again, as Dell reveals these facts about himself in Canada‘s opening lines. When his parents’ ill-advised bank heist goes awry and lands them in the slammer, Dell and his twin sister Berner are left to fend for themselves. As Berner runs off, a family friend whisks Dell away to Canada before child services can swoop in. But Dell soon finds that his new lodgings have put him in even greater peril in this suspenseful coming-of-age tale. If you get Oprah’s attention, you’re doing something right. 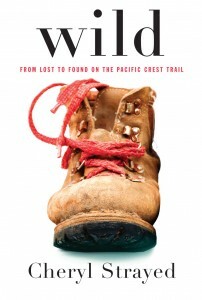 Cheryl Strayed’s spectacular memoir Wild: From Lost to Found on the Pacific Coast Trail made it onto Oprah’s revived book club, and with good reason. The memoir recounts Strayed’s 1,100 mile trek from the Mojave desert all the way to the Oregon/Washington border, while frequently flashing back to influential events in the author’s life, most importantly her mother’s death. This inspirational book is a powerful testament to personal triumph in the face of internal and external adversity. Bad marriages provide some of the most intense interpersonal drama in both real life and fiction. In Gillian Flynn’s thriller Gone Girl, the intensity of the volatile marriage between dual narrators Nick and Amy is heightened when Amy disappears and Nick is suspected of murder. By hearing both Nick and Amy’s respective points of view, the reader finds herself embroiled within the swirling tension and eventually discovers that neither spouse is entirely what they seem. 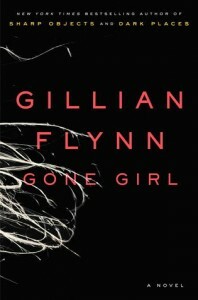 Gone Girl made the New York Times best seller list for a very good reason. One of the 20th century’s absolute masters of fiction, Kurt Vonnegut expressed to those dear to him that he didn’t “want to become a character in fiction” himself. In Dan Wakefield’s carefully edited collection of Vonnegut’s letters from the 1940s up through his death in 2007, we see the side of Vonnegut he only revealed to those who knew him. While even his most bizarre fiction was imbued with painstaking humanity and earnestness, we read in his letters about a man who could be petty and fussy when he wasn’t spouting genius. In other words, we see a human. 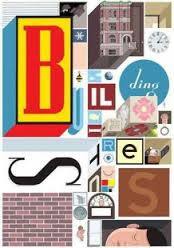 Graphic novelist Chris Ware has blown those old-school Choose Your Own Adventure stories out of the water with his new book, Building Stories. This book comes in a sturdy cardboard box and multiple interactive pieces that can be arranged in any way the reader chooses in order to interpret the story, one that focuses on multiple characters and scenarios, including the most prevalent one about a nameless brunette with a prosthetic leg. This unconventional means of storytelling begs more adventurous readers to jump in with both feet. And no Best of 2012 list is complete without this truly unique gem of a book by offbeat singer-songwriter Beck. 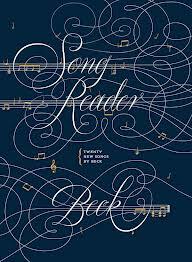 Of course, that Best of 2012 could also apply to music, as Song Reader is both a book and new album by Beck all rolled into one. Composed of sheet music, the contents of this book must be played on a piano in order for the music to be heard and the story to be told. Song Reader also manages to be Beck’s most heartfelt work in years.